What better way to spend Halloween than in the company of everyone's favourite witch? This pumpkin-orange gift pack includes two of Winnie's favourite books: Nitty Winnie! 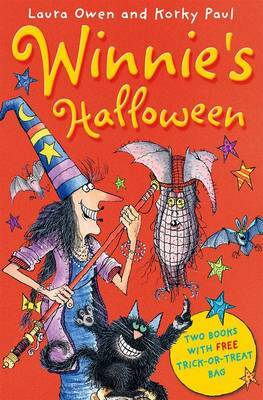 and Winnie Goes Batty, perfect for reading on dark, spooky nights. But if you'd rather be out trick-or-treating, there's a free goody bag, just waiting to be filled with sweets. This fun gift pack includes two young fiction titles, illustrated in black and white, and a trick or treat bag.